I’ve been making this Indian style onion and garlic chicken since the summer, and it’s become hubs’ favourite chicken recipe. Fortunately, the recipe is dairy-free, paleo, and Whole30 compliant, so it’ll be a regular item on the menu during this month’s Whole30 challenge. I adapted this from a recipe I found over at The Crankin’ Kitchen. 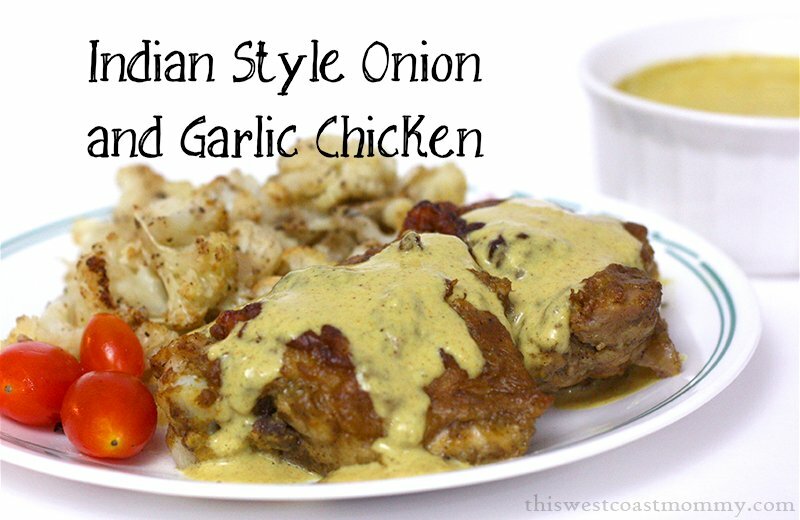 We love the onion and garlic based marinade which makes the chicken so flavourful. Fair warning though, make sure you have enough so everyone around you can have some too, or at least have a toothbrush and toothpaste handy! Heat two tablespoons of coconut oil over medium heat. 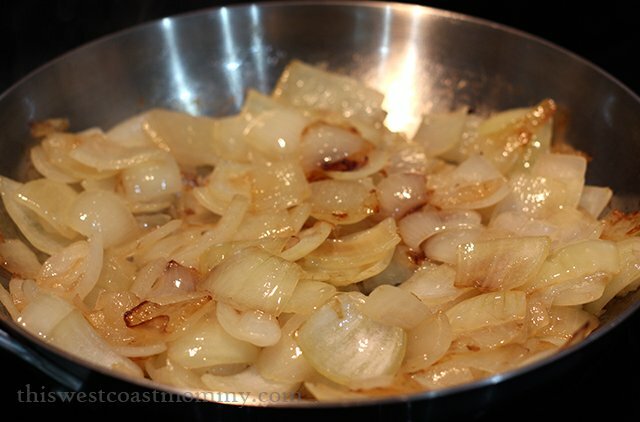 Chop up two medium yellow onions and saute on medium-low about twenty minutes until the onions soften and start to caramelize. Turn the heat down a bit and add six cloves of minced garlic, half a tablespoon each of cardamom, turmeric, and sea salt; one teaspoon each of black pepper, allspice, and cinnamon; and half a teaspoon of nutmeg, cumin, and cayenne pepper. Saute everything for a few more minutes to allow the spices to cook and brighten. Now dump the onions, garlic, and spice mixture into your blender. Add half a cup of coconut milk and a quarter of a cup of fresh squeezed lime juice. Puree until smooth. Place the chicken thighs in a Pyrex baking dish and coat them, top and bottom, with the marinade. Try to work the marinade in there, including under the skin. Leave about half a cup of marinade in the blender; you’ll make your sauce with this. Cover and put your chicken in the fridge to marinate at least 30 minutes. While the chicken is marinating, add the reserved third of a cup of coconut milk to the leftover marinade in your blender and blitz it until well-mixed. Take the chicken out of the fridge and bake uncovered at 425 degrees for 60-70 minutes or until top is browned and juices run clear. After you plate your chicken, spoon some of the sauce from the blender on top for extra flavour. In a wok or medium skillet, heat coconut oil over medium heat. Once hot, add onions and saute until soft and starting to caramelize, about 20 minutes. Turn heat down a bit and add garlic and spices. Saute 3 more minutes until spices are fragrant. Add onion and garlic mixture, three quarters of a cup of coconut milk, and lime juice in a blender. Puree until smooth. 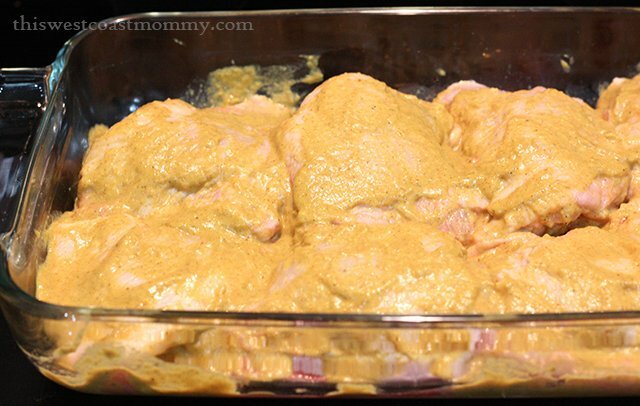 Place chicken thighs in a baking dish and coat top and bottom well with marinade, reserving half a cup of marinade. Cover and marinate chicken in the fridge 30 minutes or more. Add reserved coconut milk to leftover marinade in blender and mix well. Preheat oven to 425 degrees. Bake chicken 60-70 minutes until done. Serve with reserved sauce spooned over chicken. Thank you. 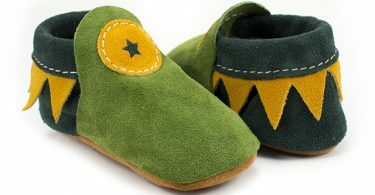 This is one of our faves! I am on day two, and can tell I will get bored fast IF I don’t start to get creative. Thanks for this recipe! I tried this tonight and it turned out awesome. So good in fact I included a link to your recipe from my blog. Will definitely be making this again. Thanks for the great recipe. Thank you so much, Kimberly! I love hearing feedback from readers who’ve tried one of my recipes, and I’m so glad you liked it. I really appreciate you reblogging my recipe. This looks so so tasty! I love the spices so frequently used in indian food (cardamom and turmeric especially) so this looks even tastier to me! 🙂 Will have to try this with the family and share it with my grandparents who have been talking about trying to eat Paleo for a while. Thanks for sharing with DDT!! I can already tell by day three I will easily become bored. I love flavorful recipes like this. Thanks for the inspiration, chickie! This looks sooooooo good. I tend to make big bake dishes – especially if I buy chicken trays from Costco. This is going to be a great recipe to try next. I think my family would love this. Pretty much not a day goes by that I don’t cook with onion and garlic. Thank you for linking this week, Olivia. I need to try this soon! What an aromatic dish! I need to re-stock my Indian spices! Indian inspired dishes are some of my favorite things to eat. Gee, I’m glad I found your blog. Our tastebuds are totally in sync!